It's been awhile since I've done any real scrapbooking. I used to do it a lot more but then school shook it's ugly finger at me and kept me from having any real fun. The good news is that I only have 3 classes to finish my degree. The bad news is that I don't plan on working on it until summer. We are moving around too much. Finally sold our house in Upstate New York and moved south. I'm trading in my snow shovel for flip flops. 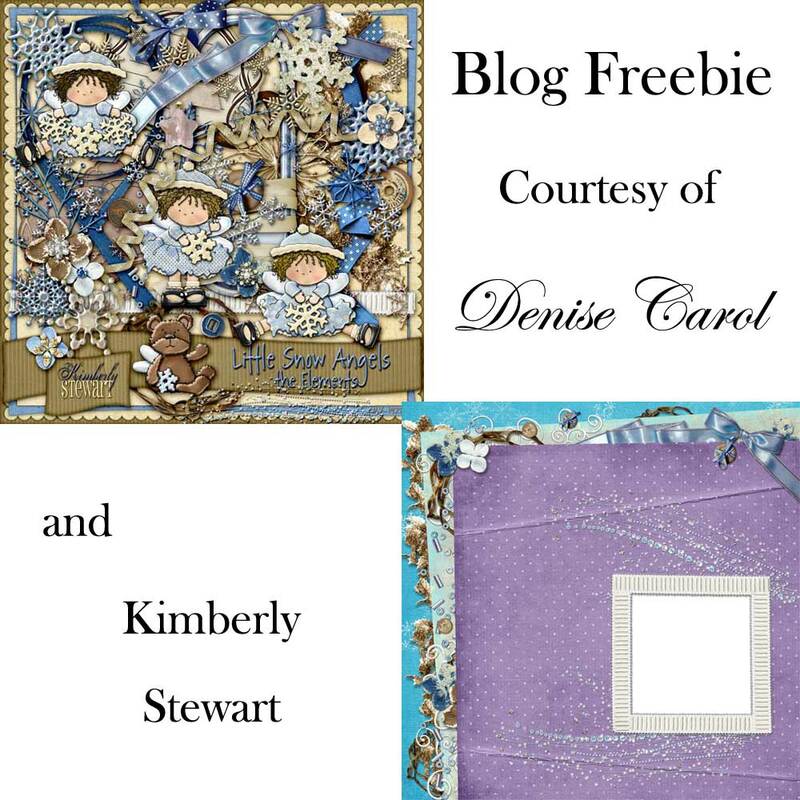 Kimberly Stewart is an amazing designer and I just happen to have the pleasure of being on her team. She has a great way of picking out the best colors and still allowing the elements to work for both boys and girls. Since I have one of each, it works out perfectly for me! 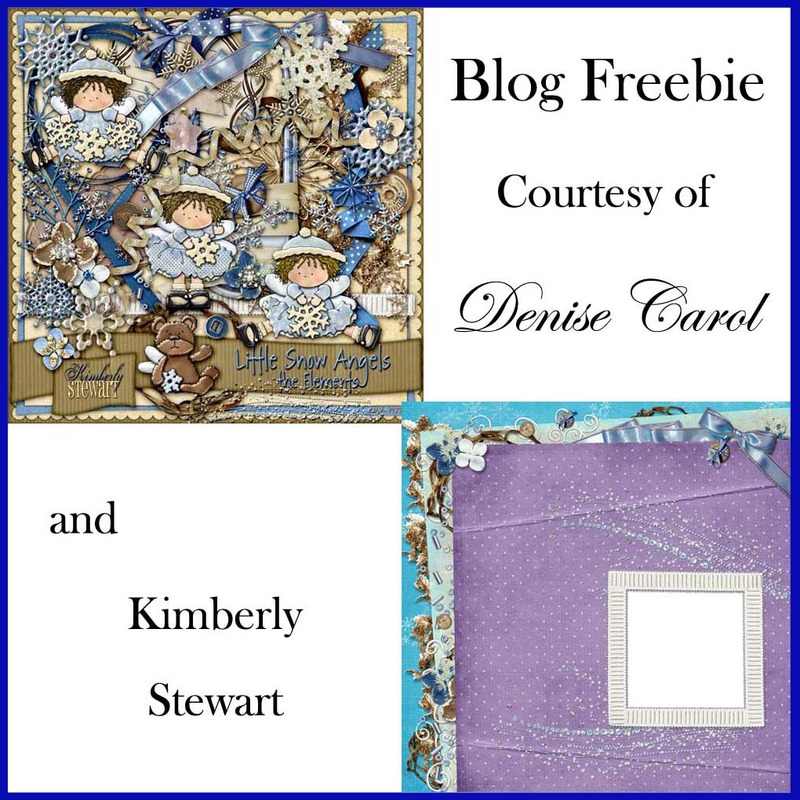 She has this great new kit out called Little Snow Angels over at Plain Digital Wrapper. I took a photo last winter when the snow just kept piling up on the back deck. My son decided to make a ramp off of the deck and into the yard. He then would ride the snow disc down the ramp. It had some pretty good speed to it! The activity kept him busy and allowed me to stay indoors instead of being out in that nasty weather. Trust me, Upstate New York in the middle of winter can get pretty cold. I just love the colors and the elements wrapped together. So I've decided to give this page to you for your books. All you have to do is download it, place a photo behind the page and print! Download HERE or click on the image below. I'm so excited because I haven't done a real layout in a long time. 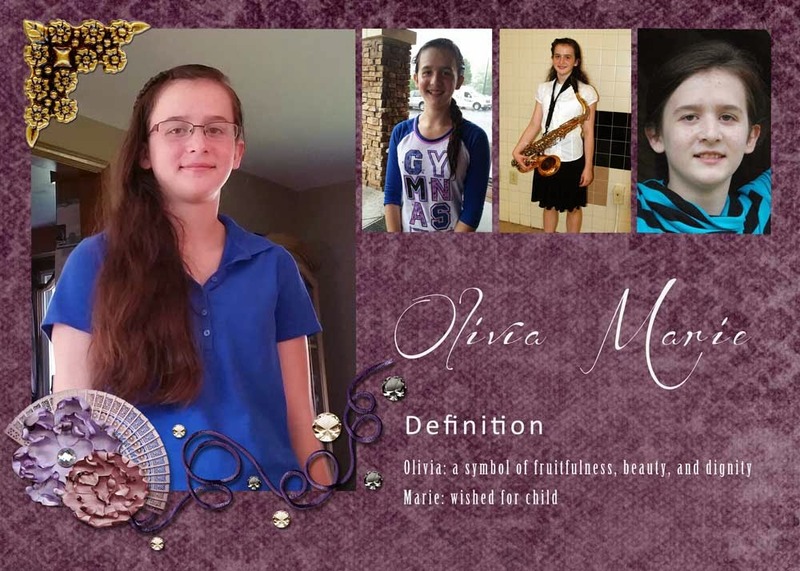 A friend asked me to make graduation announcements for her daughter and I LOVE doing those! I was going to post her layout to show you it but I don't like giving out sensitive information. So I went back and changed it all to show someone else and loved it even more! 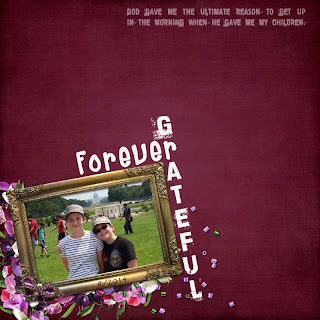 It became such a versatile layout that in honor of National Digital Scrapbooking Day I made it into a quickpage for you to have and play with. If you would like to have this page, just click over here on Box to download it. 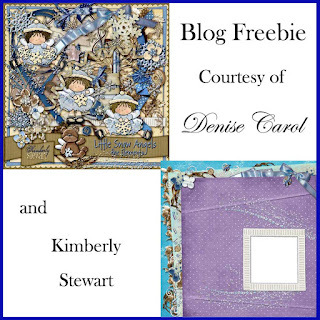 Make sure you run over to the other blogs and get your freebies too. I'm so excited about this bag! I've had it designed in my mind for awhile. I just wanted something simple to carry groceries and library books. I also needed something to leave in my car but didn't want it to take up too much space. I've had many people ask me about the same thing. The request was that it had to be lined, machine washable, and not overly priced. I've seen many bags like this priced at $50 and higher. I definitely did my homework on this one. The only hardware that I used was a KamSnap for the closure. 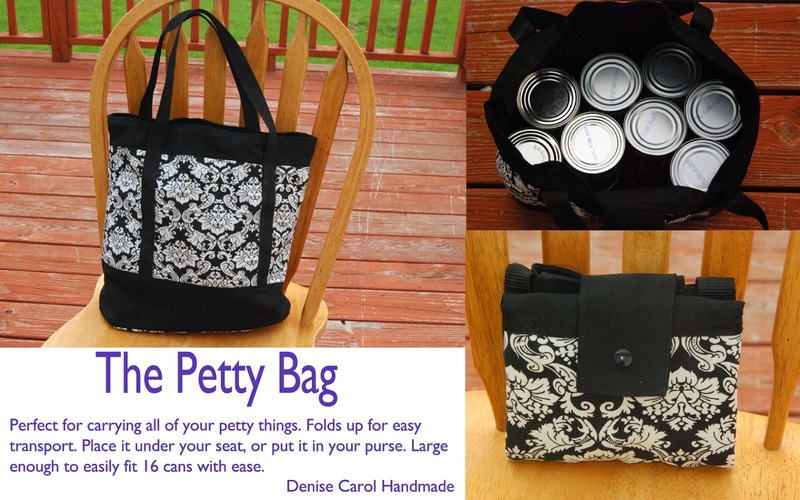 It's a really sturdy bag and as you can see, it easily holds 16 cans! I even had room on top that I could have had a loaf of bread lay there with ease. It was super easy to fold up and snap close too. I've got to make a few of these for myself and get rid of the big clunky ones I have in my car that were $50! I have plenty of room in my glove box for these. With it's canvas fabric both inside and out, I decided that I had to price this at $30. It really does hold up to its price. I've had a few people tell me I'm crazy for setting this price. I guess if my next post says I've sold out, then you'll know I was definitely crazy! If you're interested, come over to my Facebook page or contact me here to get one for yourself. I left to move over to Wix and soon figured out that while I loved the ease of changing up my blog, it was very unfriendly to my followers. So I'm back on Blogger. It was a nightmare getting back here though. Thanks to all of the great people over at GoDaddy for their absolute top notch customer service! I love calling that place. Next time I need to host my own site, I'll be going through GoDaddy. Right now I just use Blogger but in the past I have hosted sites through a friend's server. It was great because I didn't have to pay anything but I love having control over my own stuff. So if you're ever in the market for hosting, make sure you check them out. Over the past few months I've been extremely busy with projects. I've made several things. I'll just show you a few of them. One of my favorite things to do is name my bags. Hey, we name our children right? I spend many hours with these bags and feel they are a part of me. When making them, there is a turning process that you have to do called "birthing." Since I'm birthing these babies, I feel they all deserve a name! This is my "Hop 'til you drop" bag. I love the frogs and it's such a roomy bag! I love this bag too! It's called "Owl be seeing you." For girls I made a "Frozen Delight" bag. Perfect for all of her little things! My absolute favorite bag is "Blue Bayou." This one is already sold but I am not opposed to making another. It's just so vibrant! And for my son, I made this amazing Dr. Who gym bag. As it turns out, the bag was a lot larger than I expected. We had intended to use it for swim team activities but it was more of a travel bag. So he had a great time with it when we went to St. Louis a couple of weeks ago. I will be making him a smaller one with Daleks on it for swimming! One last thing to show you! I am getting ready for some upcoming craft shows. So I just had to sit down and make some infinity scarves. Make sure you come over to my Facebook page and like it. As soon as I hit 100 likes, I'm going to give one away! Some of these are even more beautiful in person! Others just photograph better than I do! Now that I'm back on Blogger, things should be a lot easier for you to comment. I'd love to hear what you think about my bags and scarves. I have more in the making right now and will share more soon!